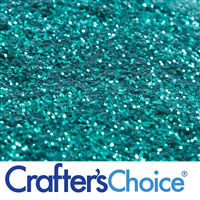 Emerald Green Glitter consists of aluminum free, precision cut polyester particles. Resistent to solvents, water, UV rays. Maximum temperature exposure 275º F. Not recommended for eye contact. Size: 0.008". Precision cut particles that provide sparkle and embellishment to products. Style and size of glitter cut provides super sparkle reflections. Excellent in body lotions, body glitter and clear mp soap. Not approved for eye contact. Free of minerals and pigments. 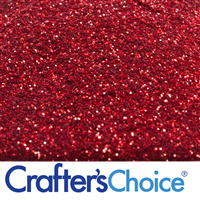 Do not use standard craft glitter in your cosmetics as the particle size is generally too large. While there is no government regulation for the particle size that can be used in cosmetics, the cosmetic industry standard is 0.004" and 0.008". These smaller sizes will lessen your liability in the event a cosmetic with glitter gets into an eye and there is an eye injury. COMMENTS: Beautiful sparkle, works great inside of bath bombs or sprayed on the outside. COMMENTS: I use this in my clear soap base and it suspends well. Nice touch to my soaps. A little goes a long way. I bought the sample size and was happy with the amount in the bag. • Easy to work with. COMMENTS: This has worked well in everything I have put it in. 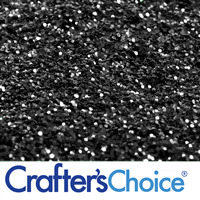 COMMENTS: I love using this glitter in bath cupcakes, it adds a very nice finishing touch! It also looks great sprinkled on soap tops. 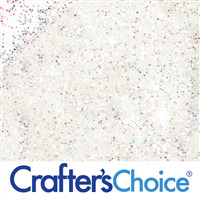 The particle size is perfect for decorating! I just ordered a sample bag to try it out, I'm going to order the full size jars next time. I love this deep shade of green! COMMENTS: I think you could decorate any soap with it. Very good. COMMENTS: Goes great with all the fresh scents. COMMENTS: I loved the color but used it in CP. The color changed and it was very scratchy. I threw it out. I am new to colors in CP soap so I will research different ones. 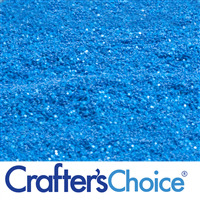 COMMENTS: Love this glitter and that i can use it on my bath bombs, i do wish it was a little larger, but great product. COMMENTS: I got this green as a sample and used it on top of red Christmas bath bombs. I plan to order more for the top of cold process soap. This is a true emerald green color. Sparkly and pretty! Love it! COMMENTS: Lovely green. Very pretty color. COMMENTS: Everything is better with glitter! I bought every color of these and I use them all! COMMENTS: Perfect shade of glitter for the project I'm currently working on. Love it! COMMENTS: This color is exactly how it looks in the picture- bright and beautiful!! It will definitely give your soap the extra sparkle that it may need. It isn't overpowering when used in the soaps (I think we used 1 TBSP) for the whole batch and it was nicely and evenly dispersed! COMMENTS: This is an awesome shade of green. I used it in a clear soap to make a Mardi Gras themed soap and it turned out great! COMMENTS: I LOVE THIS GLITTER! I LOVE IT IN CP SOAP, MELT AND POUR AND SPRINKLED ON EVERYTHING! COMMENTS: I use this in my Scottish items and it works great. "Great for any green holiday!" 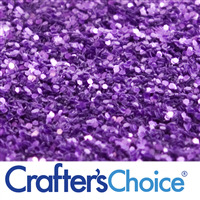 COMMENTS: I love using this glitter for topping a soap that needs an extra punch of green! Used it for Christmas and have some leftover for St. Patrick's day! Doesn't bleed, color holds well. Love it! COMMENTS: I will be using this in Christmas soaps for sure! Adds a nice topping to soaps. COMMENTS: Beautiful Color, so far I have only used it in soap and it comes out so pretty. COMMENTS: This is gorgeous in my bath bombs. It's a really nice rich green color. COMMENTS: I use these as a little accent in the cup of my bath bomb. Beautiful! COMMENTS: This glitter is awesome. Very nice to sprinkle on top on CP soap or I have used it to put in the molds for my melt & pour. Excellent for both. Really liked the finished product. Did not discolor or flake off. Holds true to the color shown. Makes a nice spring, winter, men's or women's product shine. COMMENTS: This is a pretty glitter cover to sprinkle on soaps. COMMENTS: It is so beautiful color. "Perfect for Christmas or St. Patrick's Day"
COMMENTS: Beautiful color green! Who doesn't like glitter! I also mixed it with Super Sparkle Iridescent glitter. It was very pretty. "good for Christmas and Saint Patrick's day"
COMMENTS: I got it as a sample and I did not think I would like any glitter with color on in but I do like it and it gives my soaps a special look! COMMENTS: Used on my Christmas soaps very pretty. "Who would love Emerald green"
COMMENTS: This is one of my favorite glitters for I can pair it with so many things. Using it for Christmas right now but it goes with all seasons and any color matching that you might have. COMMENTS: This is a beautiful emerald green, reminds me of Christmas. I sprinkled it on top of a new Christmas soap and it looks adorable! COMMENTS: A great "St Patty's Day" green color. Very pretty! COMMENTS: received this as a sample, will definitely be buying more especially with Christmas on the horizon! COMMENTS: This is a very pretty glitter. I use these glitters in my mp soaps. 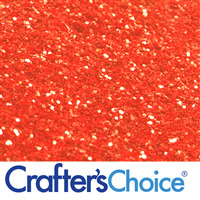 These are quality glitters and they are offered at a great price. COMMENTS: I like to add the colored glitter and regular glitter to add depth to my soaps. 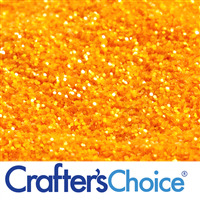 COMMENTS: I love adding this glitter to my soaps! I highly recommend. COMMENTS: I am using glitters and other embellishments for my soaps. This is a beautiful true green and really makes the soaps pop. Can't go wrong here. COMMENTS: Perfect for Saint Patrick's Day and Christmas projects. "Makes soap look like emerald jewels." COMMENTS: This looks like 'shaved emerald jewels.' Makes a product look classy and jazzy. Can pull off anything with this stuff - even can claim it is shiny grass! COMMENTS: Love this green for my St. Patrick Day products, I am sure I will use it for Christmas as well. It brings lots of pop to each product. COMMENTS: Produces excellent results. I use the liquid suspension base with the glitter. Very nice. COMMENTS: Nice green, especially for Christmas and St. Patrick's Day I use this glitter on top of melt and pour soap to give it added sparkle and glamour. 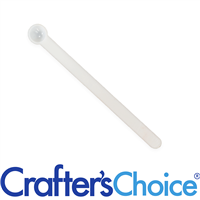 It works great for swirling in clear melt and pour soap for that something extra. The small particle size keeps it from being too abrasive. A little goes a long way. You can never ever have too much sparkle in your life! COMMENTS: you want to add a little sparkle color to the top of your soap this is what you need! COMMENTS: Great! It added that pop that my cold process soap! COMMENTS: This is a nice bright green! Super sparkles! 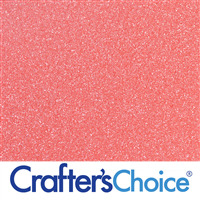 COMMENTS: I use this micro-glitter in my nail polish & so far it's been a hit! COMMENTS: I used this to add a fun twist to one of my Christmas soaps. Sprinkled it on top after pouring and gently swirled. Great sparkle! COMMENTS: So pretty! A great green and very fine! "I got as a sample and will now purchase"
COMMENTS: Really really special color! Micro fine like other wsp glitters..I will be purchasing this for sure. "A little darker than expected"
COMMENTS: This glitter is amazing, no matter what color you get it in. COMMENTS: Added to Holiday Soaps and body products loved the color and how well it mixed with both soaps and lotions. COMMENTS: Beautiful Emerald Green. Received as a sample but will be reordering! COMMENTS: this glitter is very fine, it almost looked like mica in the bag! I used it to top my CP soap but also used it in nail polish, creates good sparkly coverage! "Great to Top Off Soaps"
COMMENTS: I use this glitter for the tops of my soaps and it looks so perfect with soaps in the green family. I normally use it the most during certain holidays like St. Patty's Day!! COMMENTS: I love all glitters from WSP. I have every color they sell! Yep! I am addicted. They are so beautiful in my clear M & P soaps! The price is great for the amount you get. I have done my research before I bought for WSP, and no one could beat them! OF COURSE! COMMENTS: Mixed throughout my soap easily, despite it being non-suspension. Left pretty flecks that showed up well in the clear soap, and didn't stay on my skin when I used the soap. COMMENTS: Use these in my sparkling mojito bath bombs and I love it! "Can this be used in bath bombs?" Staff Answer This Emerald Green Glitter can be used in bath bombs. "Do I have to use this glitter in a suspension soap base?" If you stir your soap thoroughly AND pour at a lower temperature, it should stay well suspended. You may get an increased amount on the surface from some settling, but pouring at a lower temperature makes the soap less fluid, and therefore the particles suspend better. I make a ton of glitter soaps and the only time I have problems is when I forget to let it cool more than usual. Staff Answer When using in a liquid soap base, you will want the suspension liquid soap to prevent settling. In MP soap you can add when soap is cooling and it will suspend with just a small amount of fall out. The suspension mp is easy to use and will suspend all of the glitter in a bar soap. "Will this glitter retain it's color within a body gel or lotion?" 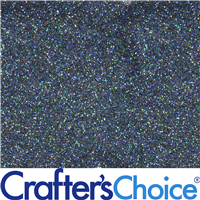 Yes, these glitters are designed for cosmetic use and will retain their colors. I've used them in gels with no problem.